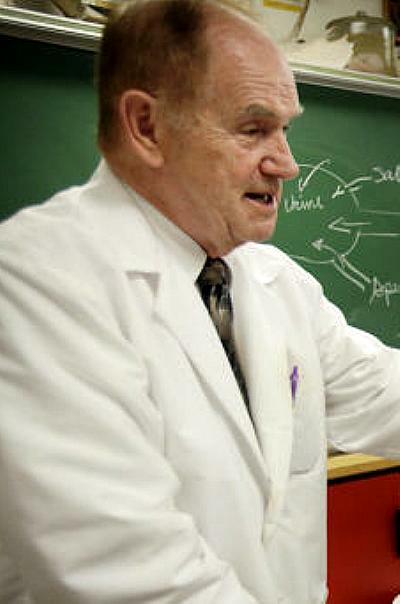 Du Vair stuck with high school freshmen throughout his career, racking up dozens of local and national awards for his teaching, including his favorite: “Best Teacher in the World,” given by his students in 1982. He left teaching to serve as president of the Wisconsin Education Association Council, the state teachers’ union, in the late 1970s, but later returned to the classroom. Morris Andrews, former WEAC executive director, said a president’s return to teaching is unique, but fitting for du Vair. Du Vair is one of the founders of WEAC. He said teachers needed a voice in the workplace and job security, and the way to achieve that was to endorse political candidates that supported “the rights of teachers and the needs of children,” he said. In his last speech as president of WEAC, he urged the union to endorse any candidate that fit those needs — regardless of party.